Our new data science release may break the internet. For our second-ever data science report, we examined 1.57 billion push notifications sent to users around the world to find the need-to-know push messaging statistics. Our biggest finding? 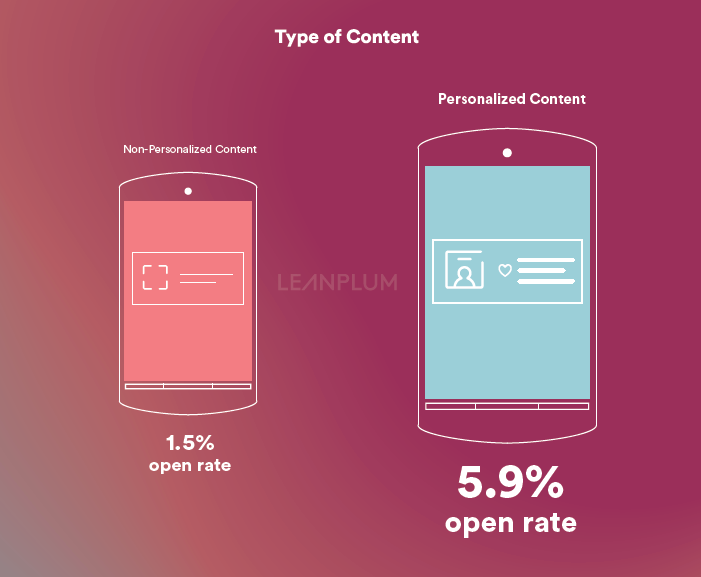 We discovered that brands that personalize their push notifications can increase open rates by up to 800 percent. Here are the push messaging statistics we looked at. 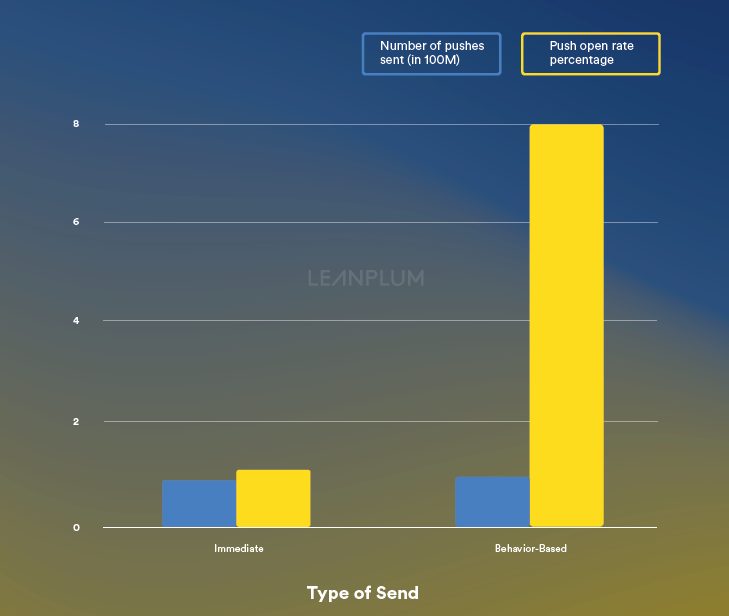 We analyzed both push notification open rates, as well as the median time to open, for four main components. We’ve listed a few of the findings below. You can download the full report starting May 17th. Sign up here to be the first to get it. 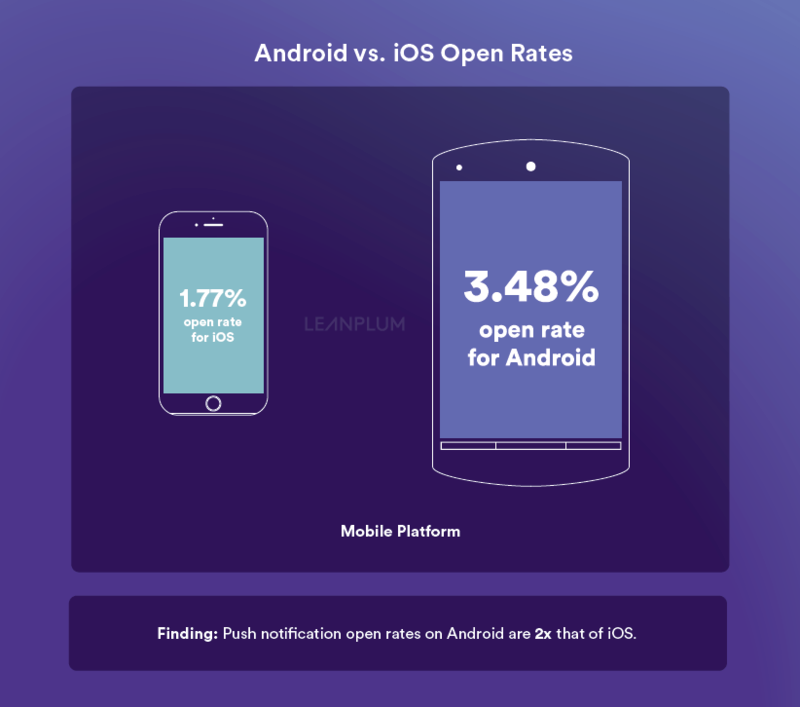 First, we looked at the average push notification open rates for iOS versus Android. Android had twice the open rates as that of iOS. 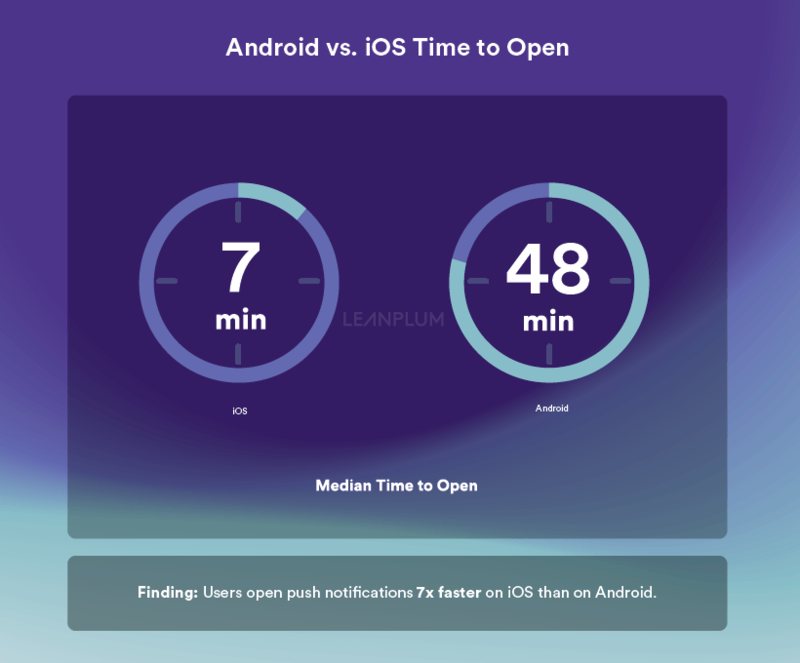 But when we examined time to open, we found that iOS users were much quicker, opening seven times faster on iOS than on Android. Why? One theory is user experience. Push notifications stick around longer on Android than they do on iOS. Users see icons on the top left corner of their home screen alerting them to new updates. On iOS, however, once a user unlocks their phone, the push notification is gone from sight. Those who do open do so much faster, while the message is front and center. After we looked at operating systems, we moved on to delivery methods. Here, we found that brands that send push notifications triggered by behaviors see nine times the engagement than messages blasted in the moment. It’s clear that users really respond to personalized timing. Then, we analyzed how personalized content affects opens. Apps that personalize the content see four times the open rates than that of generic messages. Personalized content can be as simple as adding a person’s name, or dive deeper to include items added to a cart, etc. Check out the complete infographic below. To learn more, sign up to receive the full report, with pages of surprising findings, by clicking here.